The date was November 2, 1990. The Denver Nuggets were preparing to play their first game under new coach Paul Westhead, the man behind the explosive late-’80s run-and-gun Loyola Marymount offense, and they were taking on the high-powered “Run TMC” Golden State Warriors led by Tim Hardaway, Mitch Richmond, and Chris Mullin. Blair Rodman, now best known as a World Series of Poker bracelet winner and a poker strategy author, was at the time part of a professional sports betting group. And he and his associates loved what they saw that day from the Las Vegas sportsbooks. As best Rodman can remember, the Stardust Lottery started the Nuggets-Warriors total at 255 points. He bet the over. The Stardust Lottery used a system at the time that only allowed you to bet so much before you had to get back in line. So Rodman kept getting back in line and betting the over. At the end of the first quarter, the Warriors led 43-41. It was 87-83 at halftime. By the end of the three quarters, the score was 125-122 — just eight points shy of the initial line. And at the final buzzer, Golden State had recorded a 162-158 victory. The two teams had combined for 320 points. In skill-based gambling verticals — sports betting, daily fantasy, poker — it’s possible to win over the long run. Sports betting is the only one of those three where players are up against the house. And as we know, the house always wins, ultimately. “Smart money” means money bet by “sharps,” those bettors who really know what they’re doing and are capable of coming out ahead over a sustained period. The opposite is known as “public money” — your casual bettors who help make that “the house always wins” cliché ring true. The challenge is to identify where the smart money is going and act and react accordingly. For many bettors, that means being a “follower” — joining in on the fun when you see, for example, that the smart money is flooding in on the over in that Denver-Golden State game. For sportsbooks, that means adjusting your lines … but hopefully not so much that you create a “middle,” a zone that allows gamblers to be over one number, under another, and positioned to win huge if the final result falls in between. Rodman says that when he was at his peak, putting 80 hours a week into his sports betting business in the ’90s, his team was probably the second biggest out there, behind only Billy Walters’. It took a lot of work, but they were able to make a profit taking on the bookmakers. It’s not bots or algorithms that make the final call on whether to move a line. For bookmakers like Rood, spotting an influx of smart money is easy, but deciding what to do about it is challenging. “We have monitoring tools, and we monitor what happens in the marketplace very closely,” Rood explains. “Usually when sharps start to bet, it’s a feeding frenzy. And the number starts to pop all over the place. We have a pretty good handle on who our community of sharp players is and understand when one of them moves in, they bet for the limit, and we act accordingly. If a sharp makes a bet on a Tuesday on a Saturday game, Rood says he’s likely to move the line, but if the sharp comes in on the opposite side of the public on Saturday morning, he’s less likely to make a move. “It’s not an exact science,” Rood acknowledges. In other words, the best bookmakers are the ones who can not only crunch the numbers but also have the experience to go on feel. Decades ago, a serious sports bettor could shop around at the various books and find lines that varied by a couple of points. 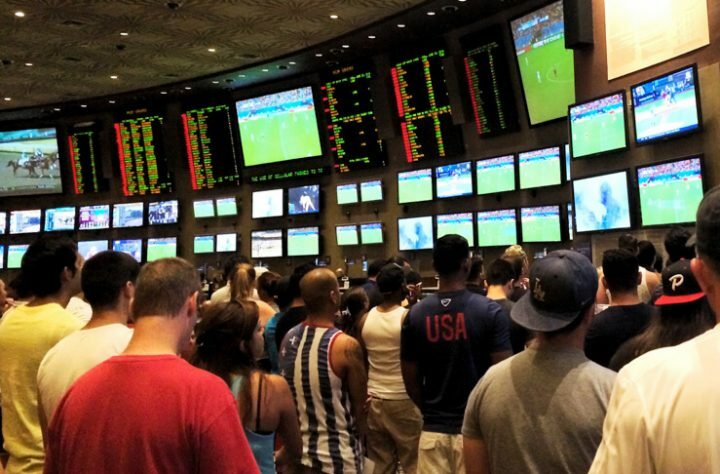 But in the ’90s, sports betting was revolutioned by something called the “Don Best screen,” a tool that compiled real-time lines so bettors could see what every book was offering at once. “Since then, the lines have become pretty much homogenized,” Rodman says. And the sharpest bettors don’t want anyone to know what their right side is. They don’t want followers. There are two reasons for that, Rodman explains. “Let’s say we found something on the Knicks that’s going to cause them to go over,” he says. “Well, if we bet them over one day, there’s a pretty good chance we’re going to bet them over the next day. And if people know that, as soon as the line comes up they’re going to take the lead on that game and move the line before we can bet it and we’re going to get a worse number. Has the gap narrowed between the sharps and the public? While there will always be casual bettors who throw money around because they want to back their favorite team or they just want to have a sweat on a game, in this age of information, an amateur sports bettor who’s willing to put in a little time can make smarter decisions than ever at the betting window. But a bookmaker still has his public teams, for which he has to set a line that factors in how the casual bettor will wager. Teams like the Cowboys, Packers, Yankees, Lakers — the lines will often be a little less favorable to bettors who want to back those teams. The bookmaker can’t lose sight of the smart bettor, however, when he posts those lines.